The administration of New York Governor Andrew Cuomo has declared war on the firearms industry with a campaign that some believe amounts to State-supported blackmail. Major New York State government agencies have pressured financial and insurance companies who do business with producers of firearms, ammunition, and related products. Both the N.Y. Department of Financial Services and the N.Y. State Controller’s office have tried to compel banks and insurers to abandon the gun/firearms industry. The messages sent to banks and insurers were not subtle. First State Controller Thomas DiNapoli, director of New York’s State Pension Fund, issued letters to credit card companies “urging them to crack down on gun purchases” according to the N.Y. Daily News. “If gun violence continues unabated in society, public outcry and calls for action may grow and create significant financial risk for the company,” DiNapoli wrote. This was followed by threatening letters from N.Y. Department of Financial Services Superintendent Maria Vullo. In her official capacity, Vullo wrote that her agency “urges all insurance companies and banks doing business in New York to join the companies that have already discontinued their arrangements with the NRA, the gun industry, or other promoters of guns, and to take prompt actions to manage these risks and promote public health and safety”. 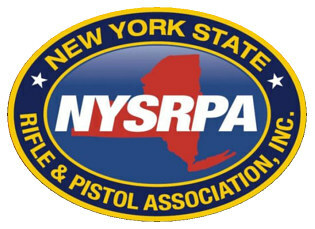 New York State Rifle & Pistol Association President Tom King stated that Superintendent Vullo’s communication was a “veiled threat” that could be viewed as “extortion”. 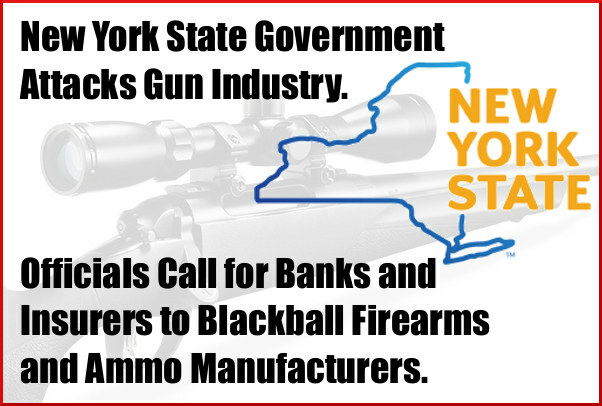 The State of New York did one of the most despicable acts ever perpetrated by any state by asking New York banks, financial institutions and insurance companies to stop doing business with the gun and ammo industry. While it may not make a difference to New York, Hornady will not knowingly allow our ammunition to be sold to the Government of the State of New York or any N.Y. agencies. Their actions are a blatant and disgusting abuse of office and we won’t be associated with a government that acts like that. They should be ashamed. COMMENT: These New York officials seem to forget that the firearms industry provides essential products for law enforcement and the military, as well as civilians. Who will arm our police if the firearms industry is shut down or bankrupted? And these New York officials forget how firearms are used for self-defense by tens of millions of Americans. This is yet another example of an extreme, radical anti-gun agenda that now infects even the highest levels of government in New York State. What’s your view of these actions by New York state agencies? Ask yourself, how would the mainstream media react if New York’s state officials attacked other key industries? What is the best response to this anti-gun activism by Gov. Cuomo’s administration in New York? Share the post "New York State Officials Attack Firearms Industry"